Country style, this century-old house has rooms with private bathrooms. A large terrace in the back, a meeting room and a beautiful private dining room that can accommodate a dozen guests. 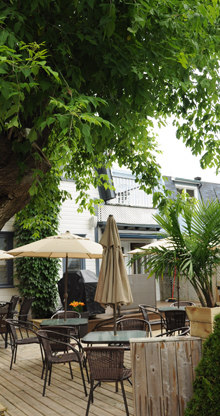 L’Auberge le Petit St-Andre is ready to welcome you for every occasion. Decorated in country style, high-end beds, intimate character, the Auberge Le Petit St-André has everything to please both business customers and individuals. The stay at the Inn always includes a country-style breakfast and also offers several types of packages (theater, spa or golf, …) that will allow visitors to discover our wonderful region.